The total spending amount is approximately $21 Mil to help Colorado residents understand the new ObamaCare plans known as the Bronze Plan, Silver Plan, Gold Plan, and Platinum Plan. Many polls across the country are showing that most people, including doctors don’t understand how ObamaCare will affect them. This ranks them as 8th highest spender in the country to promote the new Health Insurance Exchange. There are 700,000 uninsured persons under 65 in Colorado. Colorado is sending people to “festivals, libraries, churches and health fairs” to educate people on the reform, according to the AP. This is because the majority of the uninsured are needed to enroll in order for the Exchange to be successful. 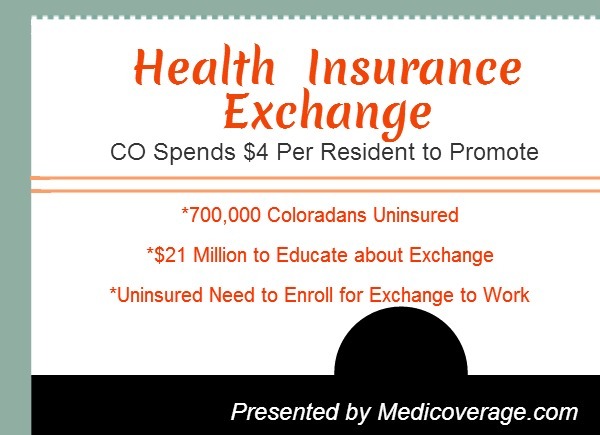 For any questions about Colorado’s Exchange call 800-930-7956 or contact Medicoverage.